David Weekley Homes recently introduced a new line of one-story villas in Hendersonville’s Durham Farms community, 351 Azalea Circle in Hendersonville. Prices begin in the high $200,000s. Goodall, Weekely Homes and Dalamar build their villas in pairs, an arrangement that allows them to have smaller lots, and lower prices, than many single family homes. Placing attached garages between them ensures privacy, said Craig Neal, lead sales consultant in Durham Farms for David Weekley Homes. Villas are increasingly popular with home buyers. In Durham Farms, Weekley Homes began making sales as soon as its villas were introduced. “One-story homes are in huge demand,” said Neal. Villas can be a bit smaller than many single-family homes, but they aren’t cramped. 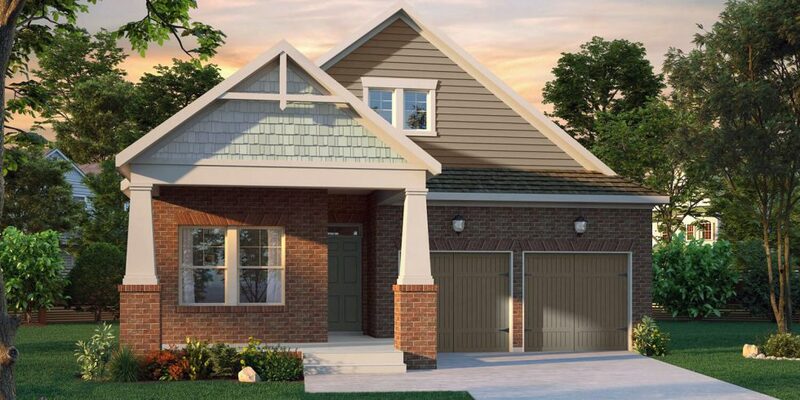 In Durham Farms, David Weekley Homes offers villas ranging from 1,734 to 1,923 square feet. They have from three to five bedrooms.